ipanema flip flops size 6/7 40 Blue Floral .Beaded Flipfops Size 6 Free. 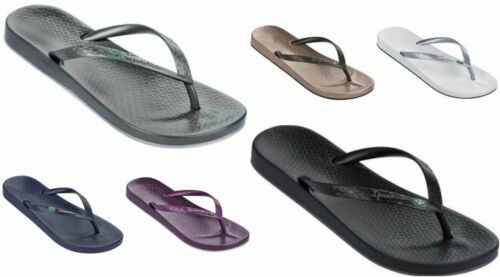 ipanema Ladies flip flops. Size 6. White/turquoise/brown. IPANEMA FLIP FLOPS. SIZE 6. WORN TWICE ONLY !! IPANEMA FLIP FLOPS. SIZE 5. WORN 3 TIMES ONLY ! !